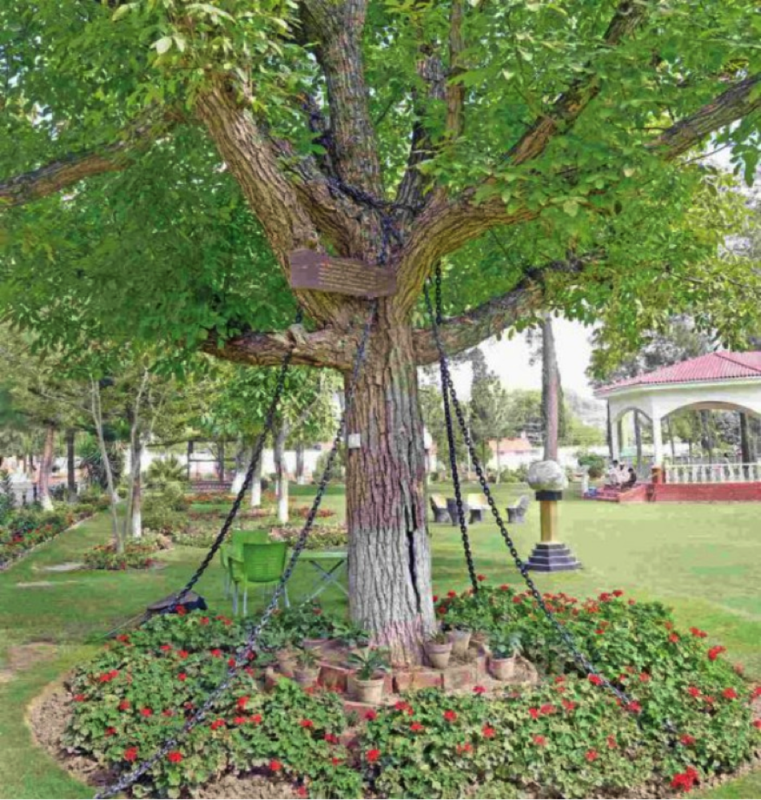 News could not have gone any weirder when we found out this beautiful, shady and comforting banyan tree serving a life sentence in Pakistan. Yes, we have seen people serving a sentence for either 14 years or till their last breath and we guess in some part of the world an animal might also be serving. But, a tree? Apparently, history reveals that this Banyan tree rooted in the Landi Kotal Army Cantonment was arrested in 1898 for ostensibly trying to harm a British officer. 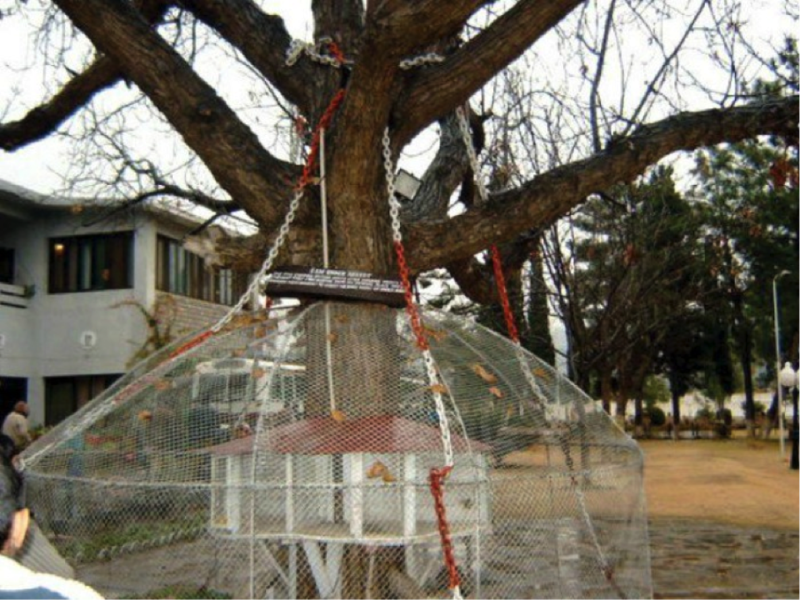 The tree which is a property of Pakistan’s Khyber Agency is ever since serving a life sentence term. The tree is chained and tied depicting its arrest. There is this placard hanging from it and the following words are written on it, ‘I am under arrest’. It so happened, one day British Army officer, James Squid was walking past it. 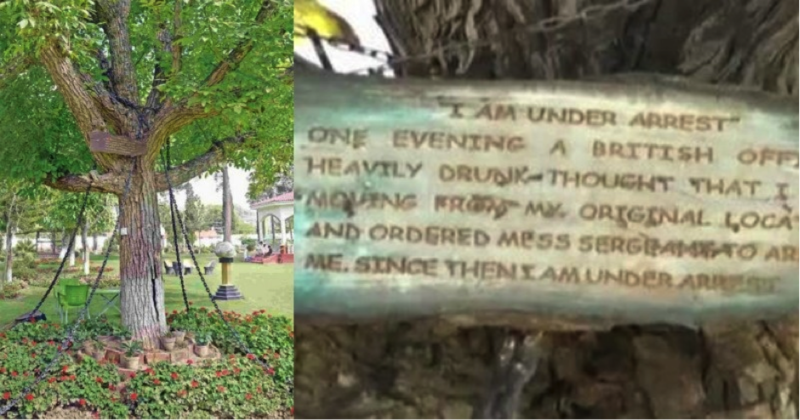 He was heavily drunk at the given time and in his intoxicated state, he saw the Banyan tree advance towards him to attack. Squid in his half-witted mind ordered a soldier to arrest the tree and since then it is restrained. Although it has been a 100 years since this incident and the locals feel it is inhuman to keep the tree under chains, many others believe that this could be the best way to show people the legacy of British rule in the country.